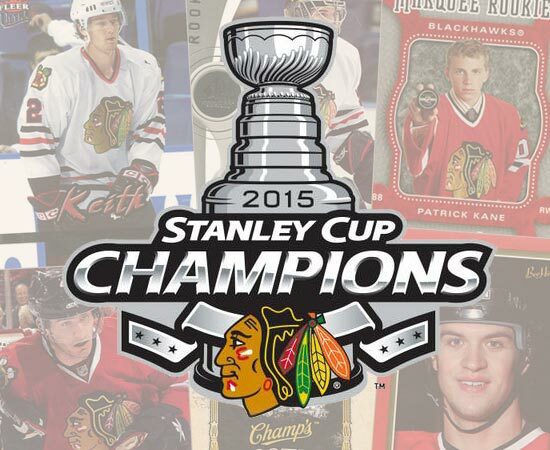 The Chicago Blackhawks are Stanley Cup Champions for the third time in six years. But the ‘Hawks aren’t just the champions — they’re a dynasty, too. 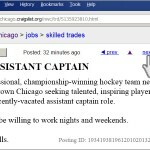 So said Gary Bettman last night before presenting team captain Jonathan Toews with the Stanley Cup. 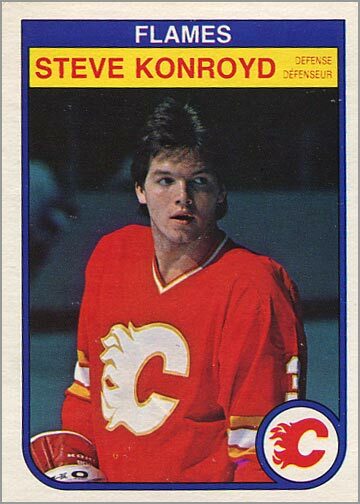 One rewarding collecting project is to acquire a rookie card of every player on a championship team. 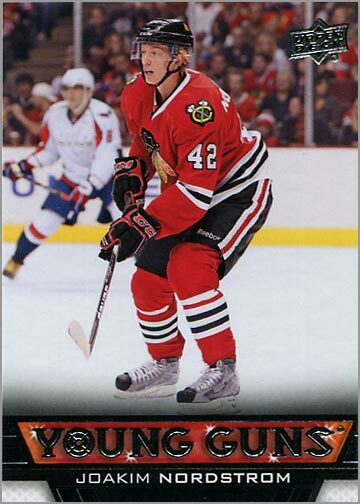 I’ve put together rookie card sets of the 2010 and 2013 Blackhawks, as well as the 1985 Chicago Bears — but that’s another story (and another sport). 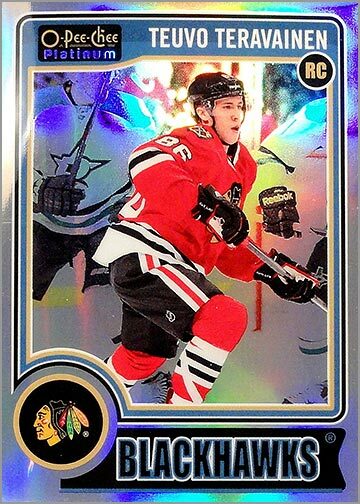 The good news for budget-conscious collectors is that most of the 2015 Blackhawks players have numerous rookie cards to choose from, ranging from several dollars to several hundred dollars, so you won’t break the bank if you don’t want to. 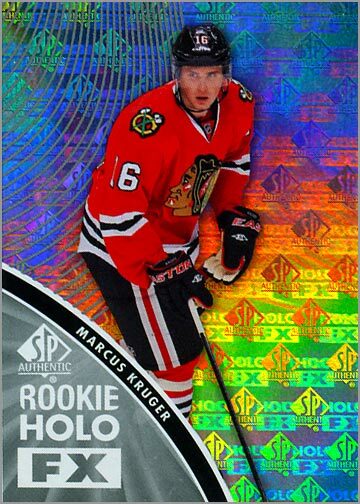 Here’s a rundown of the rookie cards for everyone on the team. 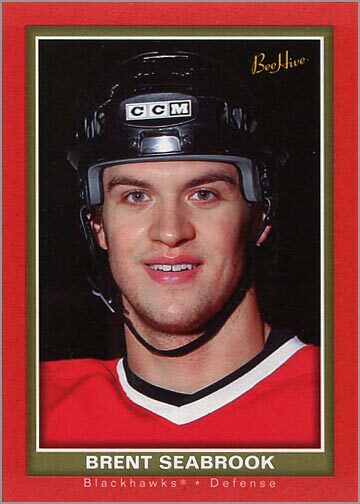 The Blackhawks dressed 14 forwards during the Stanley Cup Playoffs. 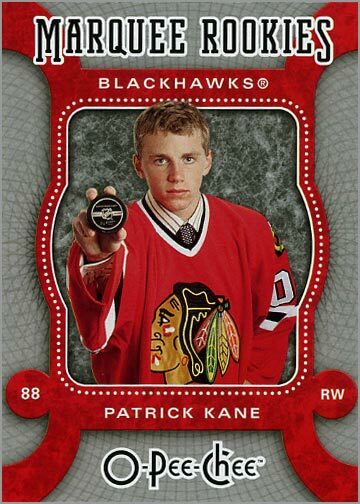 While some were in the lineup every game, such as Patrick Kane and Jonathan Toews, others like Joakim Nordstrom and Kris Versteeg saw only spot duty. 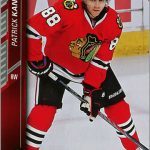 Low-end RCs costing between $5 and $10 can be found of almost all of the forwards, including Patrick Kane and Jonathan Toews. 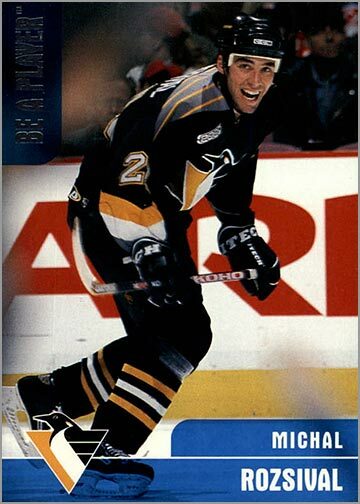 Of course, if you want to spend more, you can find autographed and/or serial-numbered rookie cards of most of these players. 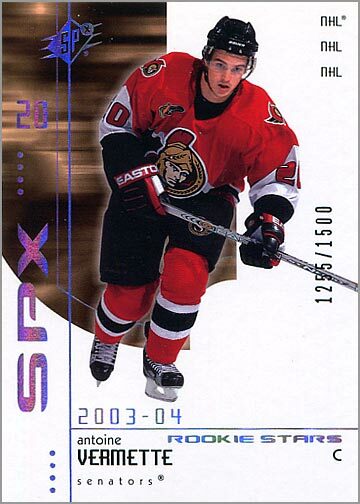 Rookie cards of Brad Richards and Marian Hossa are from the late 1990s and won’t cost more than $2 or $3. 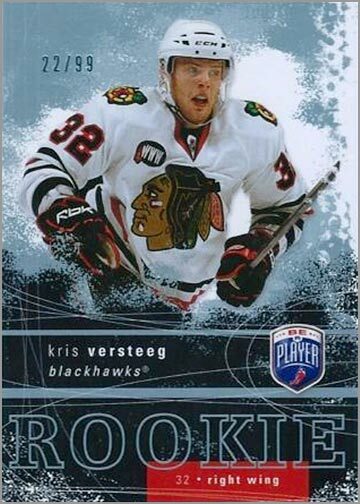 The only RC that will be tough to track down is of Kris Versteeg, as he only appeared in two 2007-08 sets: The Cup, where his card was autographed and limited to 199 copies, and Be A Player, where his card was limited to 99 copies. 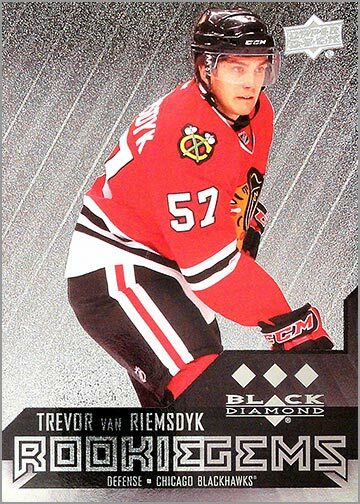 Even with the parallel versions and 1-of-1 variants, there are less than 400 total Versteeg rookie cards in existence. Plan to spend $50 to $100 — or more — on a Steeger RC. 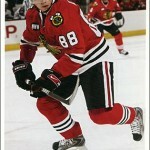 Nine defensemen suited up for the Blackhawks during the playoffs. 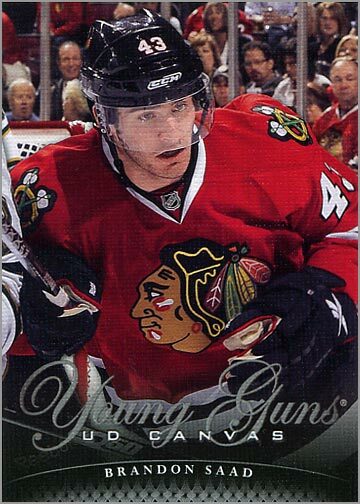 The top four of Duncan Keith, Brent Seabrook, Niklas Hjalmarsson and Johnny Oduya played every game. The bottom two spots saw a rotation of five different players. 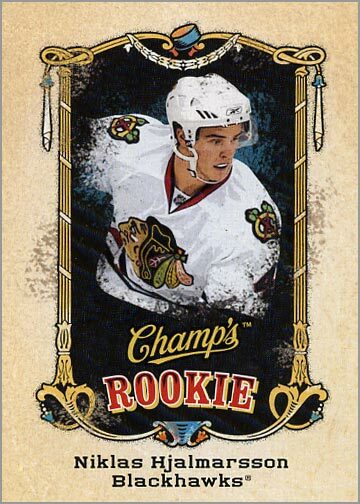 2015 Conn Smythe Trophy winner Duncan Keith, as well as Brent Seabrook, Niklas Hjalmarsson, Johnny Oduya, Trevor Van Riemsdyk, Michal Rozsival and David Rundblad all have several different rookie cards to choose from, ranging from $1 to $10. 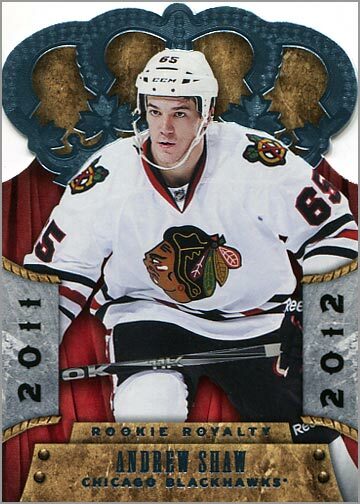 Only higher-end RCs of Keith and Seabrook will cost more than a few bucks. 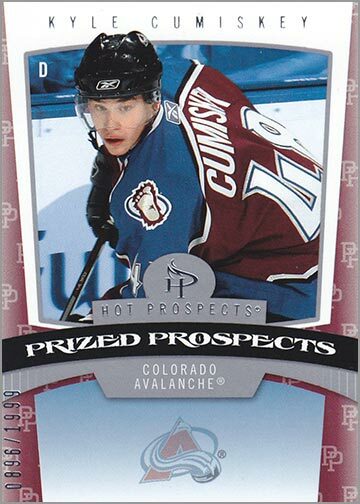 Kyle Cumiskey had only one rookie card released, which is from the 2006-07 Fleer Hot Prospects set. 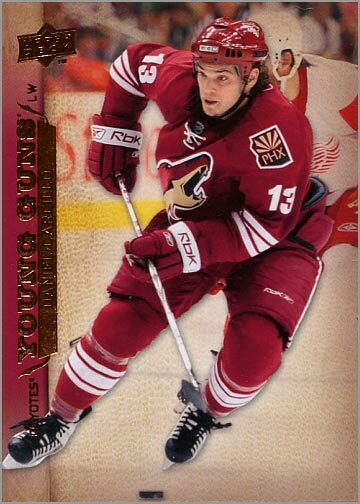 It was limited to 1,999 copies, but the demand for his cards is relatively low, so please don’t spend more than $10. 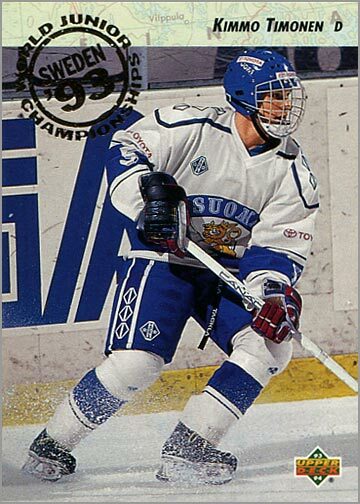 Kimmo Timnen, who is the oldest player on the team at 40, had his first hockey card issued wayyyyyyyy back in 1993-94, during the “Junk Wax Era.” That means you probably own five of them already and didn’t realize it. 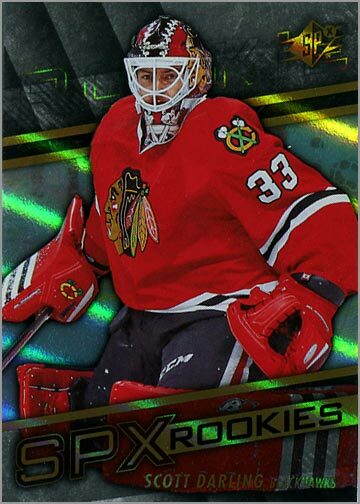 Corey Crawford played most of the games in the 2015 Stanley Cup Playoffs, but Scott Darling stepped in during the first round against the Nashville Predators. 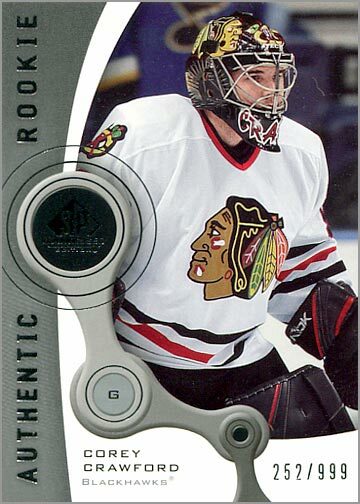 Corey Crawford had a slew of different rookie cards issued in 2005-06, while all of Scott Darling’s cards have come out in the latter half of the 2014-15 season. 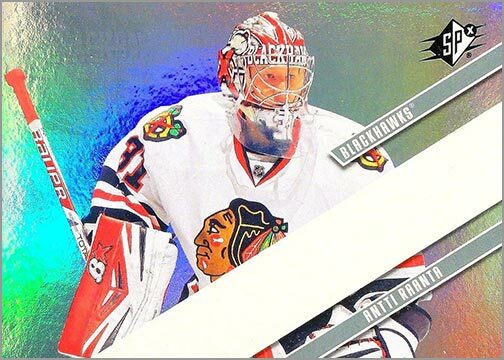 Their cards start at a few dollars and go up from there, depending if they are serial-numbered (like the pictured Crawford card) or have an autograph or piece of memorabilia on it. A great team needs great coaches. 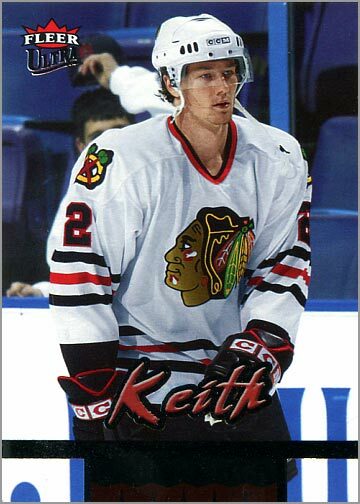 All four of the Blackhawks’ main coaching staff played in the NHL and received proper rookie cards. And all can be found for between a quarter and a dollar. 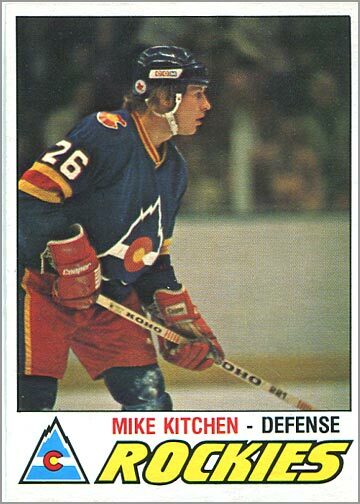 Joel Quenneville and Mike Kitchen can only be found in the O-Pee-Chee sets from the 1970s, so while they won’t cost you much, they’ll be tougher to track down. 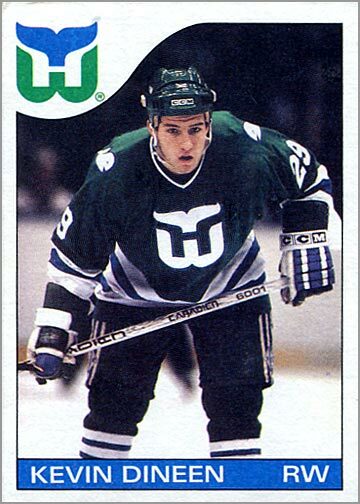 Kevin Dineen had rookie cards in the 1985-86 Topps and O-Pee-Chee sets, and are abundant. 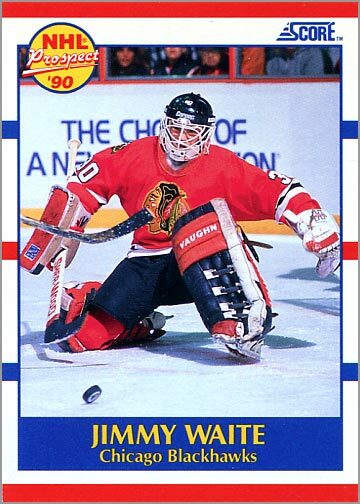 Jimmy Waite appeared in the 1990-91 Topps, O-Pee-Chee, Score American and Score Canadian sets, which were all grossly overproduced and should cost you a quarter at the most. But if you really need one, I’ll send one to you. 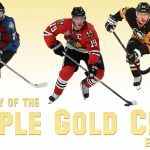 While these players did not skate in any of the 2015 Stanley Cup Playoff games, they were still included on the team’s roster — and on the back of the team’s championship t-shirt. Their names might not get engraved on the Stanley Cup, but they probably will still get rings. 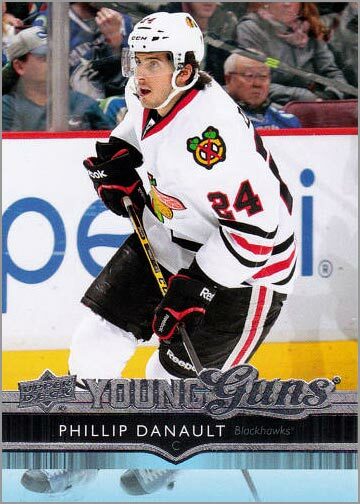 Raanta, Carcillo and Danault each have several different rookie cards to choose from. 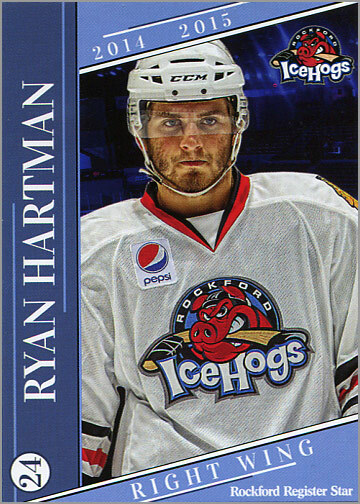 Pokka, Svedberg and Hartman have yet to get NHL trading cards, but you can track down cards from their 2014-15 Rockford IceHogs team set if you really want to collect the Blackhawks’ Black Aces. 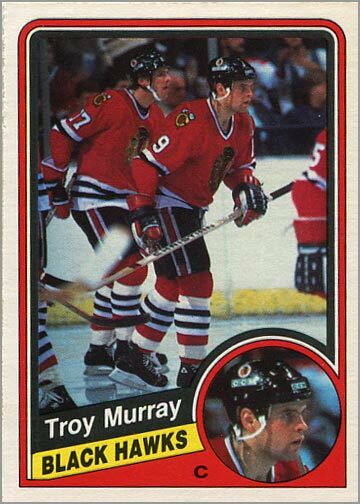 The Chicago Blackhawks broadcast team serves as a link between the players and the fans who watch or listen to the games. Throughout the regular season and several rounds into the playoffs, the broadcasters’ voices become as familiar as our own. 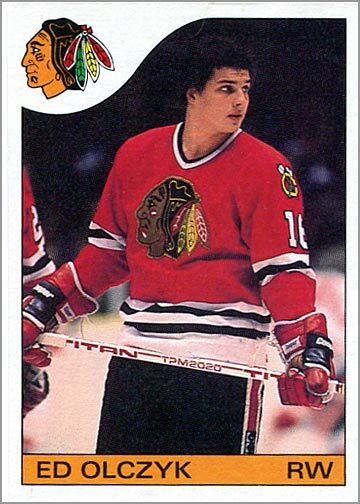 Lucky for Blackhawks fans, Blackhawks color commentator Ed Olczyk is also a color commentator for most of the national broadcasts in the U.S.
Steve Konroyd and Troy Murray only appear in O-Pee-Chee sets, but are common cards; maybe $1, tops. 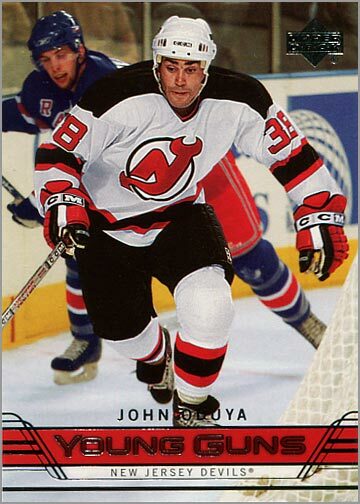 Ed Olczyk is in the 1985-86 Topps and O-Pee-Chee sets, and will be easy to find. 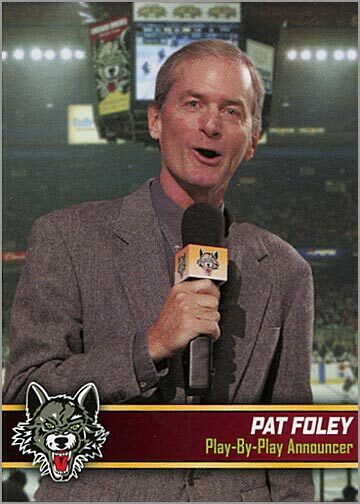 Play-by-play announcer Pat Foley had a trading card issued in a Chicago Wolves team set during his two-year stint away from the Blackhawks. Of course, my list borders quite a bit on the obsessive. Most collectors probably don’t want cards of the coaches, the broadcast team or the Black Aces — and who can blame them? 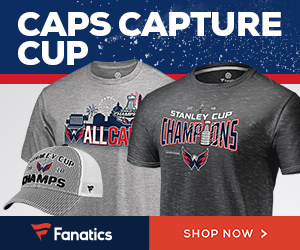 A Stanley Cup victory has to do with what happened on the ice, not off of it. In the end, what makes collecting truly fun is that you set your own rules for what to get. 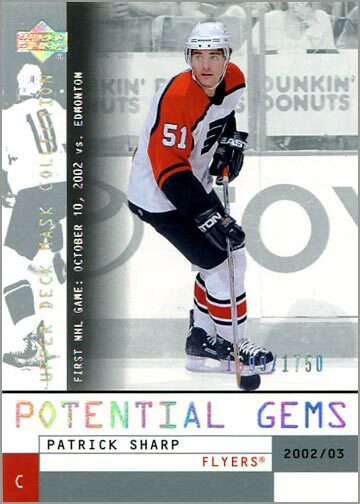 I’ve been slowly working on the 13-14 Black Diamond Championship Rings set and have recently decided I want to put together the 13-14 Day with the Cup set as well. 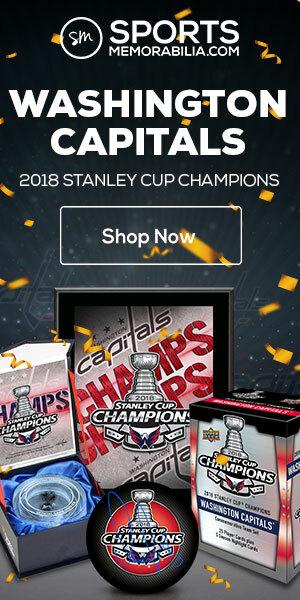 That’s the only thing I’ve done as far as collecting a championship team. 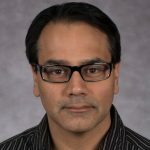 Welcome to the blog, and thanks for your comment. 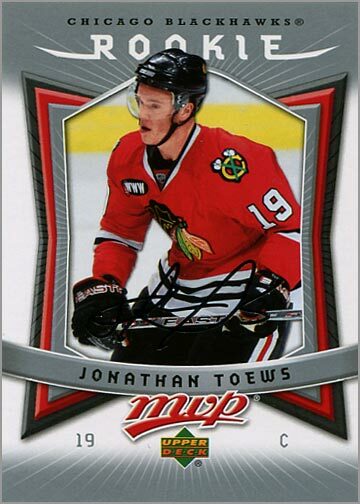 I briefly thought about putting together the Day With the Cup set, but those cards are so hard to track down. 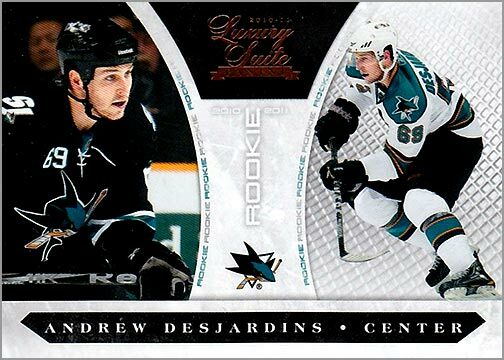 I only pulled one once, and it was from the Bruins’ Cup win. 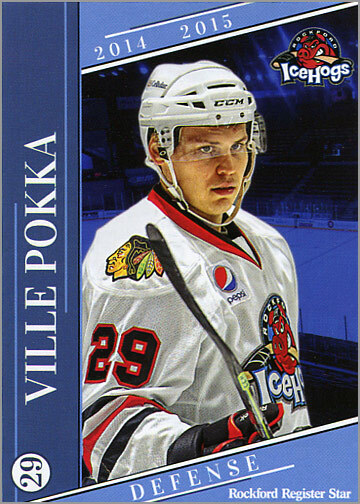 I have the Michal Frolik day with the cup if you want to trade. Nice post, great detail. Been reading your blog for a while now and I really enjoy it. This page and a couple others I read got me to change the way I collect. 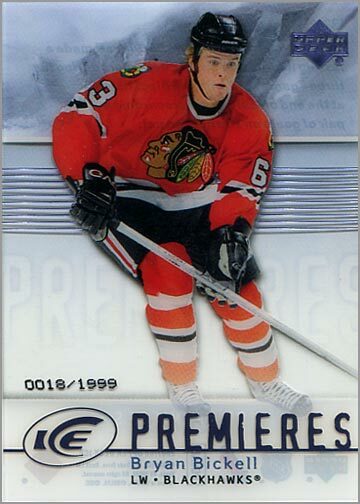 I’m a University of North Dakota grad so I’m glad to see Toews and his boys win it all again, and lately I’ve been focusing my collecting on players who played in college for UND. 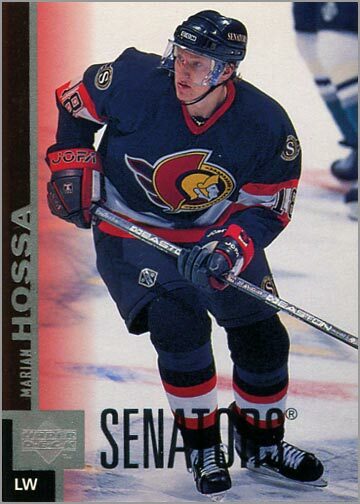 Last year I put together a team set of rookie cards for the 1997 Red Wings championship team. It was SOOOO much fun! 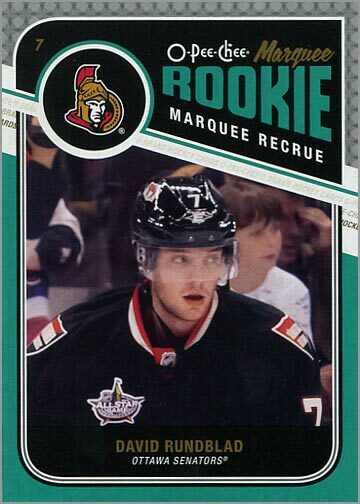 I already had a frame that fit 20 cards, so that’s where the idea came from since a team dresses 20 players for games. 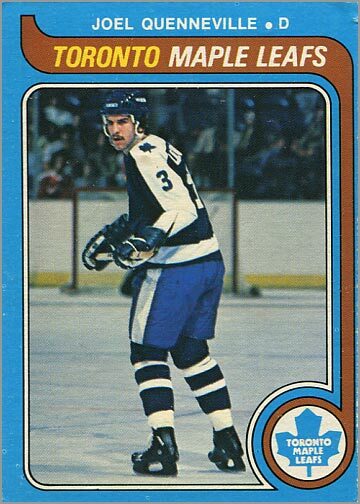 Therefore, the black aces are left out but all the rookies of the players who were on the ice for the Wings beating the Flyers are there. The funny thing is that without knowing it I had most of the cards already! Because of the era, it wasn’t difficult to track down the rest. It looks really nice on my wall! Great blog post Sal and great job all around on the site. I love it! 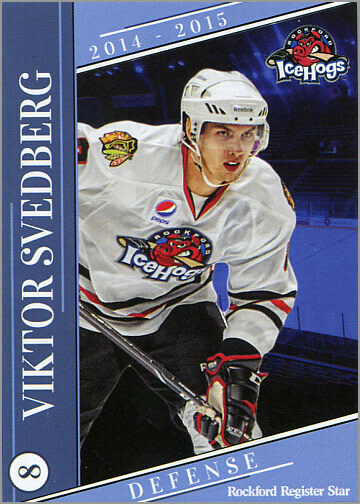 I’ve really begun to focus my collecting efforts on finding cards of players who went to the University of North Dakota (I’m an alum). 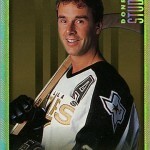 I’ve been digging back through my boxes and have found tons of cards from players I didn’t even realized were UND guys. Quite a few people put together sets like this only all the cards are graded by either Beckett or PSA.